The SchoolCraft difference. Superior quality, lightning fast delivery, and a passion for overall excellence. Creative portrait scenery custom designed for your school or organization. Professional studio quality portraits on site at your middle school. Your opportunity to express yourself. Show your true colors and our professionals will document every second of it. 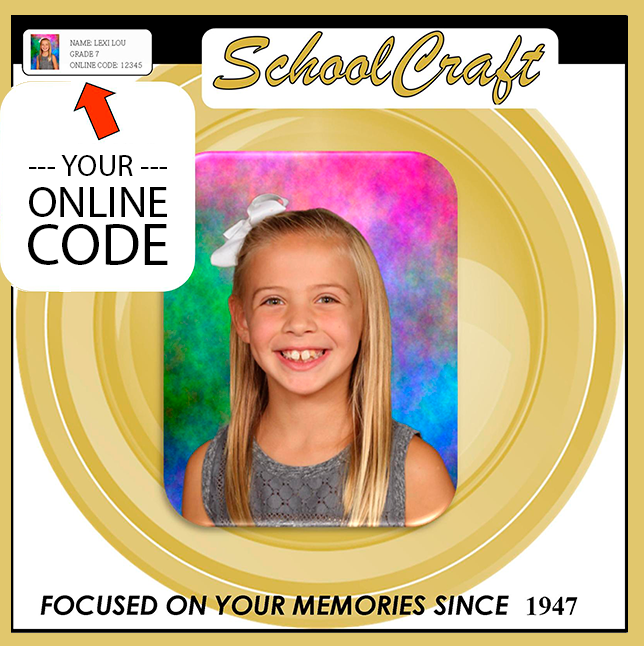 Bring your high school years to life with Schoolcraft studios. Industry experts in elementary photography fundraisers. Full service high school portraits specialist. Professional scheduling for all events, unmatched portrait quality, online ordering, and attention to detail 100% of the time. Specializing in little league fundraisers for any sport. PLEASE GET YOUR CODE READY AND THEN CLICK ‘CONTINUE’. I don’t have my code.